Summer has officially arrived, and that can only mean one thing: it’s time for the summer dress roundup! 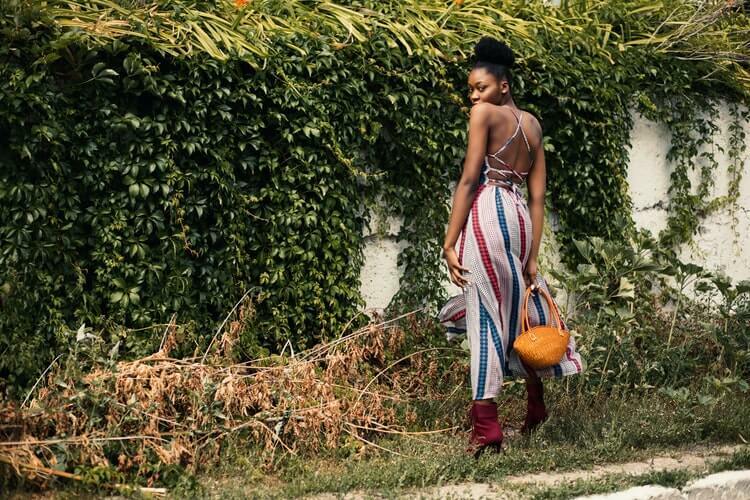 This summer, it’s all about the vintage-inspired prints and patterns, from the pretty 1950’s throwbacks to the 80’s-esque patterns and styles, and lots more. No matter your budget, we’ve got the dress for you with Desigual coupons so you can get those trendy designer looks for less. From under $50 to around $150, our friends at Desigual have you covered for your signature summer look. There are plenty of stylish printed dresses to choose from in the $50 and under category. This summer, we’re seeing a lot of whimsical patchwork styles, layered panels, and bright patterns. These dresses are perfect for playtime, but also lend themselves well to the workplace. Go for the Mediterranean inspired Luana dress at just $47.98. Its ultra feminine, slim style is sophisticated yet playful at the same time. Headed to the beach? Be sure to pack the Vera Dress. At just $47.98, this floor length, willowy spaghetti strap dress with bold mandala print boasts comfort and style in one. And it wouldn’t be summertime without the trusted tunic. Be sure to check out Desigual's Tunic France. In ocean-inspired patterns and bold blues, this steal of a deal is flattering for all body types, making it a must for your summer wardrobe. So many dresses, so many deals! Check out the adorable patchwork Cecilo Dress with multiple matching prints, contrasting diagonal stripe and whimsical, asymmetrical hem. Originally $115.95, this stylish dress is now on sale for just $57.98. Jump on this one while you can! And while you’re at it, go with the flow with the Brenda Dress. This flowy blue number, with gorgeous contrasting floral print and sophisticated low cut back, is perfect for daytime play and nighttime socializing. And, at just $57.98, you’ll love the savings. The shirt-dress is bound to be on your must-have list this summer, and Desigual has you covered. Add the Jazmin Dress to your cart for just $79.98. With bold, contrasting wild embroidery, and beautiful trim detail on the shoulders and cuffs, you’ll be the epitome of casual summer style. If florals are calling your name, look no further than the Marina Dress. 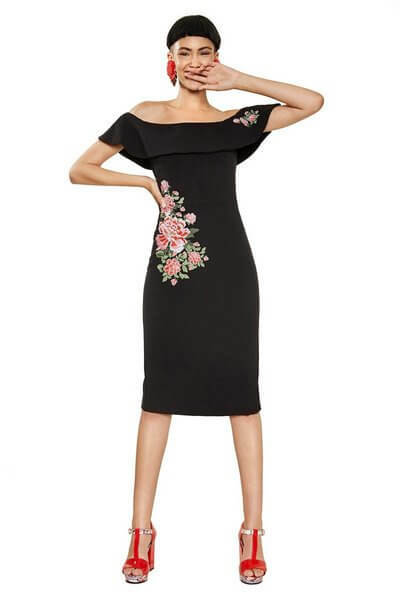 This sophisticated black dress with an eye-catching straight ruffled neckline pops with contrasting floral details. This unique dress is on sale for just $79.98, so you can feel good about adding it to your summer-and-beyond wardrobe. The world is your oyster in this budget category. We love the Josephine Dress from Desigual, with its Aztec-inspired print and flattering-for-all cut. At just $105.99, this is a deal you won’t want to pass up. Equally worthy of your wardrobe is gorgeous, India inspired Indi Dress. With elegant layering, asymmetrical hemline, and semi-sheer top layer, you’ll want to don this frock for multiple occasions. Plus, it’s a steal at just $125.95. Summer is here and your closet is calling…what are you waiting for?